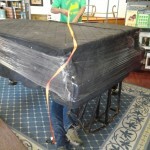 We take care to package pianos so they will be safe during a move. By wrapping the entire piano like this, the piano could brush against a wall or a tree branch as we go across the yard, it will come through unscathed. Not only that, but also the wall or doorways we bring the piano though would be protected from the piano as well. Of course, we do everything possible to keep the piano from touching anything except the ground as we move it in and out of buildings. Our blankets are also waterproof in case we have to move a piano outside in the rain. But we don’t trust to the blankets entirely if there is a downpour. 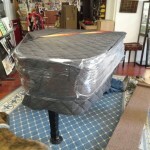 We will wrap the piano with a layer of heavy duty plastic or a waterproof tarp in those situations. This also helps the humidity level inside the piano relatively stable. on it’s side without breaking into a sweat. 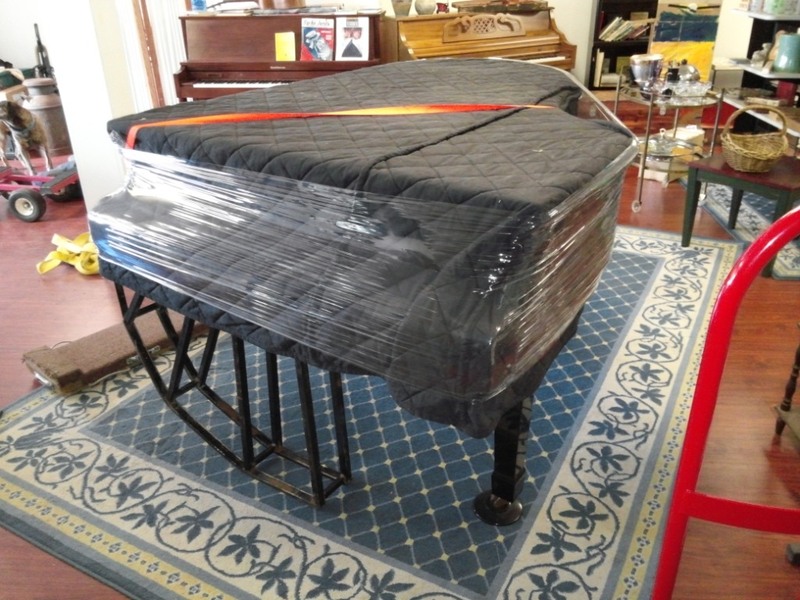 It even works on 9 foot concert grand pianos like a Steinway D that I moved from the Paramount Theater in Rutland for the Killington Music Festival. The fun thing about using the piano horse is when the piano is tilted halfway, I could stop and leave it and it and it would be stable. This tool really helps us carefully move pianos and take care of ourselves as well. 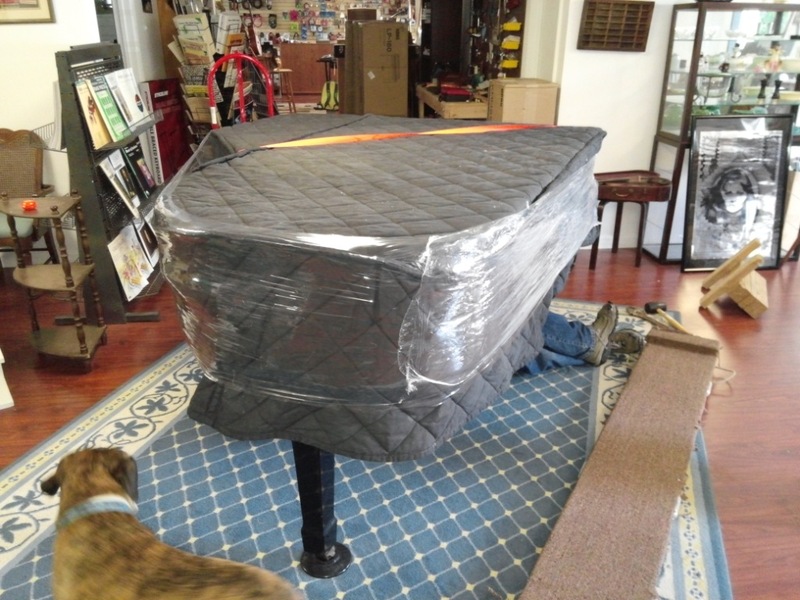 In another post I will show why your floor and tile are completely safe with the rolling part of our piano moving operation.